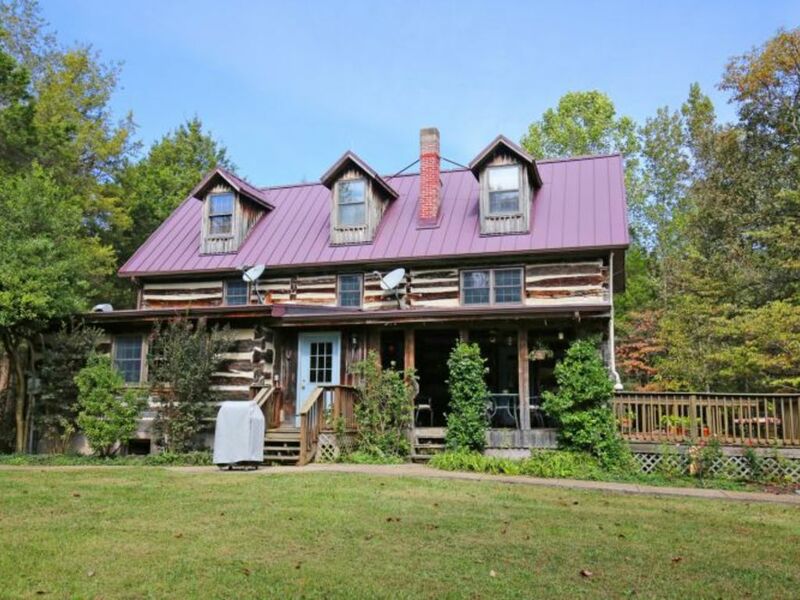 Includes one of the finest log homes in the Region! 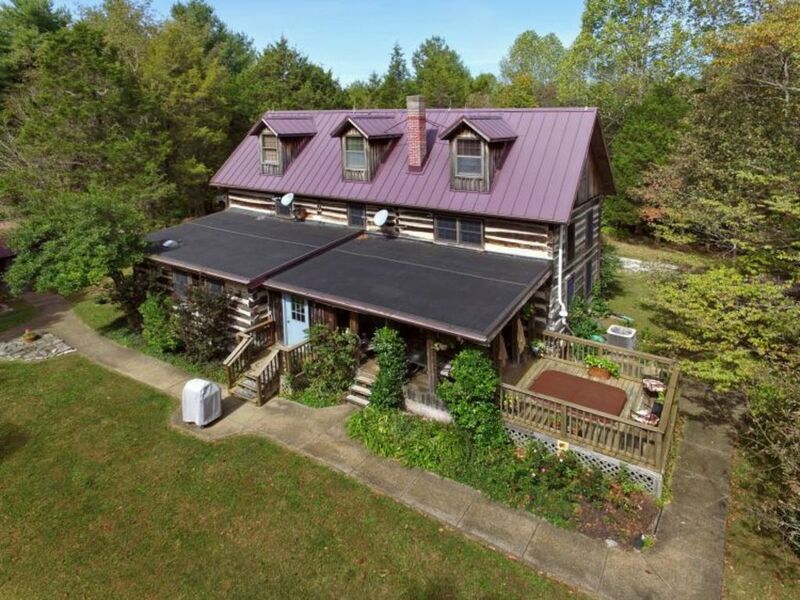 A once in a lifetime offering of an 1820's era 3-story log home with 4000+SF, 4BR/3.5BA, guest house, 3-car garage, all sitting on a private secluded 20+ acre wooded tract! This is a must see home! Located just 3 miles from Downtown Corydon or 25 miles from Downtown Louisville! CLICK ON “VIEW DOCUMENTS” ABOVE FOR AERIALS, ASSESSMENT/TAX INFO, ETC. 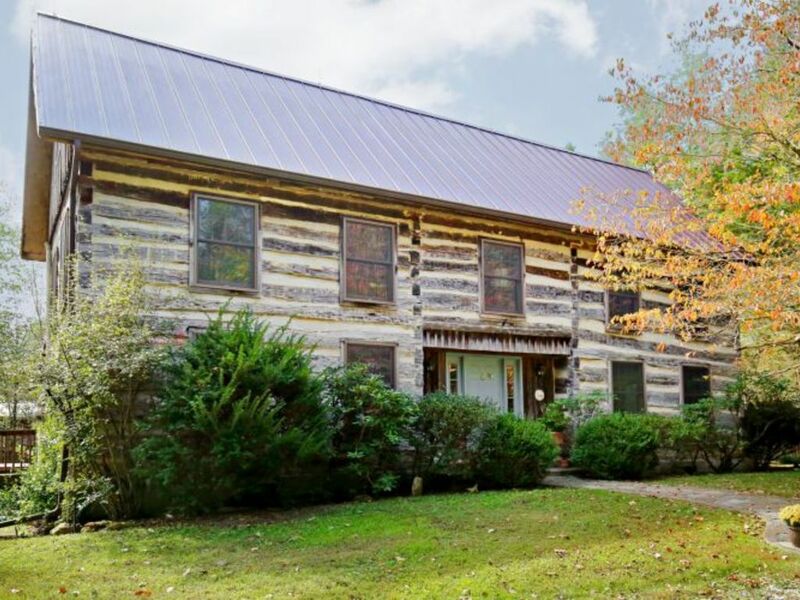 GENERAL INFO: A once-in-a-lifetime offering of one of the finest and largest historic hand-hewn log homes in Southern Indiana. A lifetime of hard work and dedication has gone into the reconstruction of this incredible home and park-like setting by the Runden Family. It’s conveniently located just three miles from the newly revitalized Historic Downtown Corydon and 25 miles from Downtown Louisville. 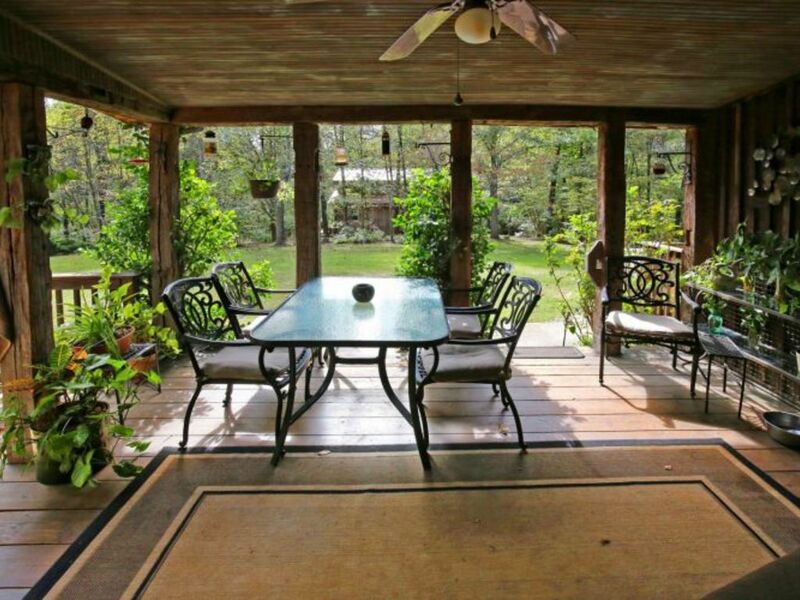 This property offers seclusion and privacy with all the modern amenities. This estate has not been offered for sale since its purchase nearly 50 years ago. It’s ready for immediate possession! 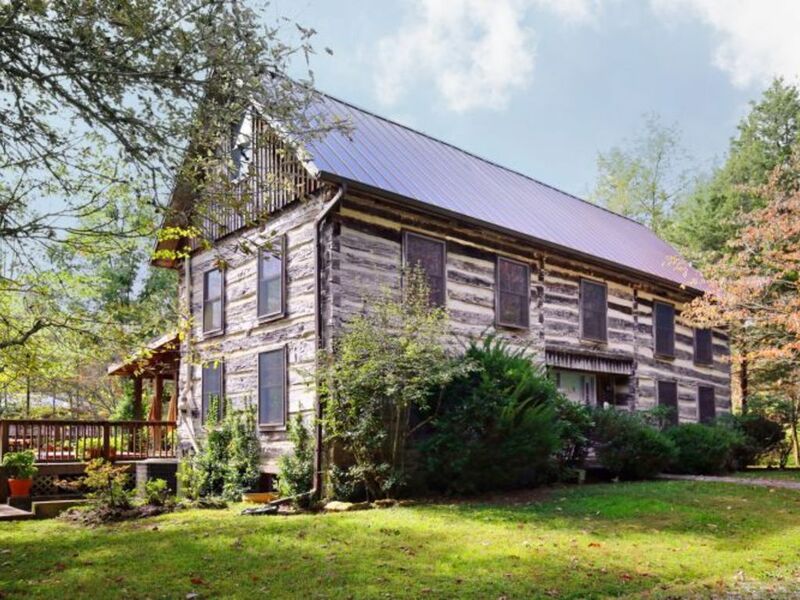 OWNER’S COMMENTS: Intrigued by the idea of a day of meetings and deadlines and driving a bit less than a mile down a dead end country road – The trip takes you to a long winding driveway ending at your home, an 1820 log home. You park the car in a 3.5 car garage made of old gray barn wood. Your house began as a deconstructed pile of logs combined with a clinical social worker and teacher with more ideas and energy than money. Every floorboard, every log, every door frame was rebuilt on a basement foundation of 12” concrete with plenty of rebar. Five bedrooms, 3.5 baths, a basement computer room gives you plenty of space. There are nice touches: a glass shower wall, a very large kitchen with Daycor gas stove and an early 20th century light fixture over the kitchen table. Someone with a poetic side might take off the hand hewn cuts of broad axes and adz on the logs, or the chestnut logs (the chestnut blight on the early years of the last century left only chestnut sprigs and no logs or they might speak of a doe and or fawns strolling across the back yard on a bright but misty September morning. Your home is about in the center of twenty wooded acres, including 5,500 + trees planted by the teacher and social worker) and five minutes from downtown historic Corydon, the first capital of the state. Corydon is a classic 19th century American small town now undergoing a Renaissance and also thirty-two minutes from downtown Louisville. So now let’s leave the poetry and look at some photos and facts. LOG HISTORY: All logs used in the 1982 reconstruction of this home were originally from the Eisert homestead in Lanesville IN and the Edmund Green farm in Lanesville. See featured photo section for an original photo of home. There is a pictorial history of the construction on this home in 1982-1984 available upon request. All Yellow Poplar and White Oak flooring throughout home is repurposed and vintage. 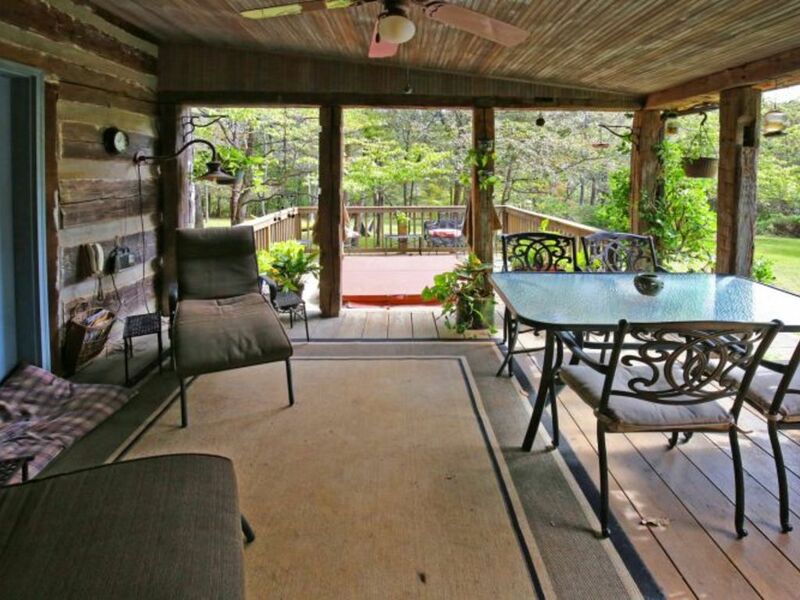 INTERIOR HOME FEATURES: An immaculate three story log home that was built/reconstructed in Spring of 1982. First floor layout (1320 +/- SF): large living room with White Oak floor, dining room with Yellow Poplar floor, large kitchen (eating area, island, stainless appliances, including a Dacor commercial grade range), vintage light fixtures, & half bath. Second floor layout (912 +/- SF): large master bedroom with closets/hardwood floors, bedroom #2 with hardwood floors, office, & full bath. Third floor layout (519 +/- SF): bedrooms #3 & #4 both with hardwood floors, & full bath. 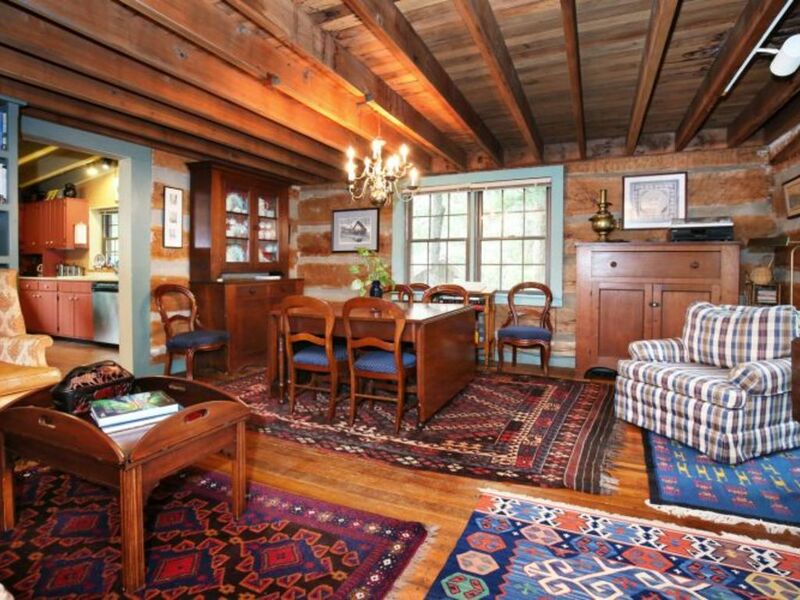 Vintage Yellow Poplar flooring & exposed hand hewn beam construction throughout home. 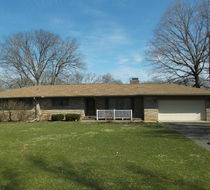 BASEMENT INFO: 1320 +/- SF walk-out basement with full bath. The finished area (896 +/- SF) is used as general living area, computer room, & laundry room. The unfinished area (324 +/- SF) is utilized as a mechanical area and wood-working shop. 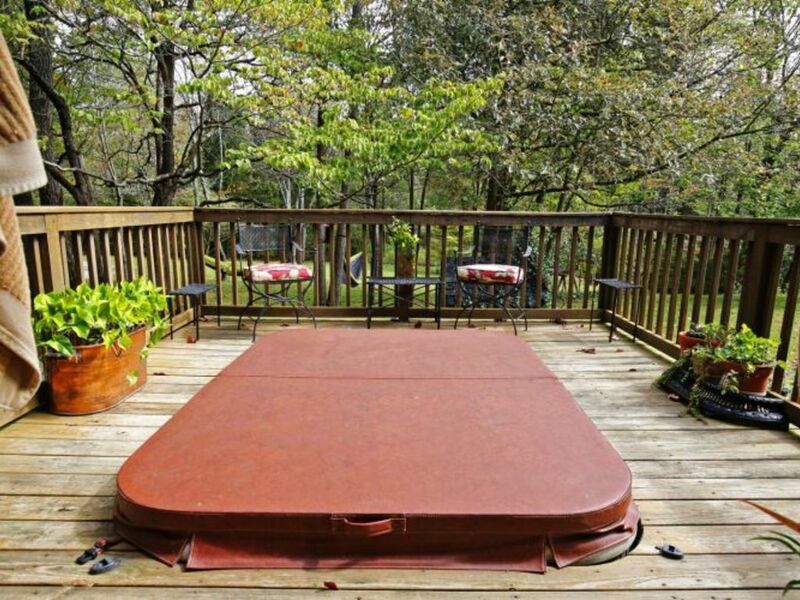 EXTERIOR HOME FEATURES: concrete sidewalks, large rear covered deck, outdoor hot tub with deck, mature shade, & professional landscaping. GUEST HOUSE INFO: Built in 2006, this structure lends itself to a variety of uses such as executive office, art studio, apartment, library, etc! Exterior construction is of board & batten Yellow Poplar siding design with a raised seam metal roof. Features include: 888 +/- SF, full bath, kitchenette, heating/cooling, large brick fireplace in the "Marching Soliders & Bull-Nose" styles, exposed interior beam construction, large deck, & lots of natural light. MAINTENANCE SCHEDULE & RECORDS: Since January 2014 the Rundens have had a monthly maintenance inspection of entire property performed by Jim Lawton. All maintenance was performed in accordance to these reports. All reports and receipts are available upon request. Recently replaced windows throughout. Termite inspection performed yearly & radon mitigation system has been recently installed. GARAGE INFO: Three and a half car detached building with board & batten wood exterior with metal roof. Includes three overhead doors, 800 +/- SF, & exposed aggregate sidewalks to home. LAND INFO: Includes 20 +/- acres with 650’ +/- frontage on Smith Hill Road. Site is mainly wooded with a wide variety of trees planted by the Runden Family over the past 40 years in accordance to a USDA conservation plan. Soil maps indicate mainly Baxter type soils (BlC3, BmC3, BmD3). WOODLAND INFO: Since the early 1980’s the Runden Family has set 5500+ trees of 44 different species on this property as in accordance to the USDA conservation plan. For details of the tree species, click on the “view documents” section. ROAD FRONTAGE/POTENTIAL DIVISIONS: The property lies on the east side of Smith Hill Road and includes 650’ +/- of road frontage. Property is eligible for multiple splits. GAS/OIL/MINERAL RIGHTS: Includes sellers’ interest in gas/oil/mineral rights., but gas rights are currently leased to Breitburn Operating. 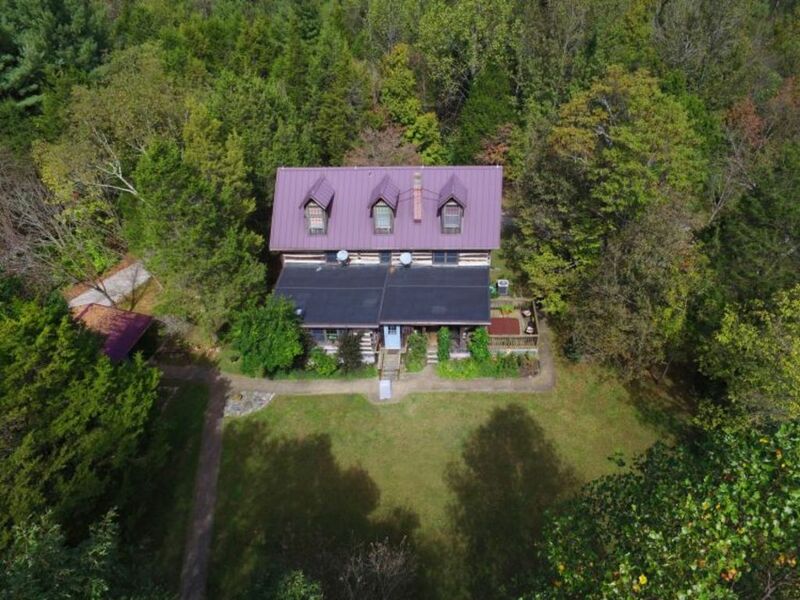 WILDLIFE/PET INFO: This property is well suited for wildlife enthusiasts, daily viewing of turkey, squirrel, rabbit, and whitetail deer! Ideal for bird watchers (Indigo Buntings, Yellow Finches, Purple Finches, etc). 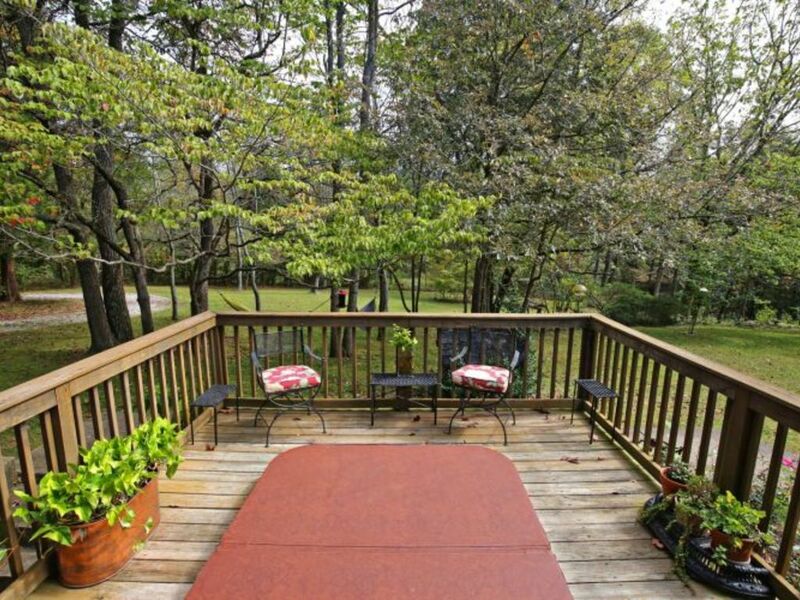 Overall property is mainly surrounded by wooded properties. Invisible pet fence system installed. POSSESSION/CLOSING INFO: Possession at closing on all real estate. PERSONAL PROPERTY AUCTION: See additional listing for contents of home, auction ends on April 17 at 7 PM. DIRECTIONS: From downtown Corydon, east on Hwy 62 1.5 miles, right (south) on Corydon New Middletown Rd 0.4 miles, right on Country Club Rd 200’, then immediate left on Smith Hill Road one mile to site. From downtown Corydon, east on Hwy 62 1.5 miles, right (south) on Corydon New Middletown Rd 0.4 miles, right on Country Club Rd 200’, then immediate left on Smith Hill Road one mile to site on left.